A beautiful display of Tumbling Blocks! 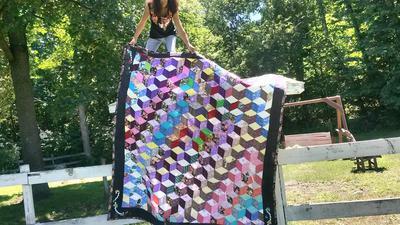 This is a photo of my 3d Tumbling block quilt, took me around six months to make. It's very cold in Michigan, now I think I am ready for the lone star. Let me know what you think?